The search for Seoul’s own Billy had begun. For a year and a half, Simon Pollard, associate director of Billy Elliot in Korea, sought the perfect cast to recreate the pure magic of Billy Elliot the Musical. The search was broadcasted through Finding Genius , a South Korean television program created by SBS. The tedious auditions finally came to an end with the five selected Billys—Chun Woo-jin, Kim Hyun-jin, Sim Hyun-seo, Sung Ji-hwan, and Eric Taylor—eagerly waiting behind the curtains to perform. 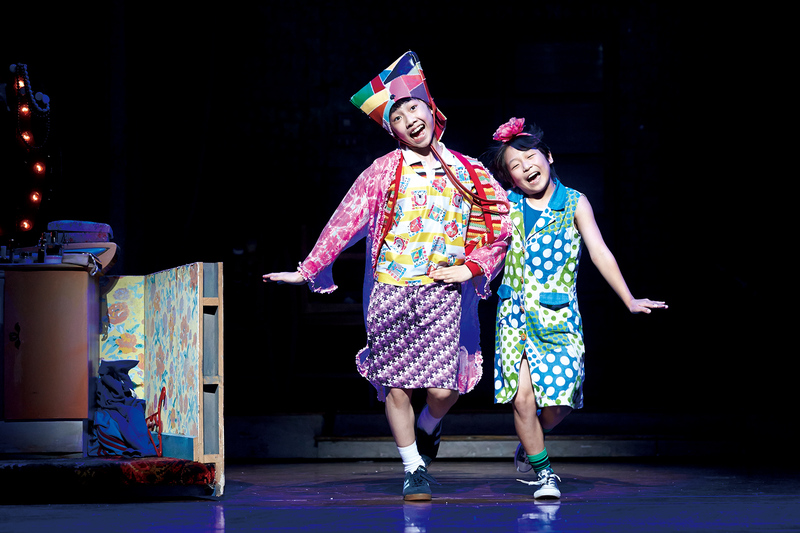 Billy Elliot the Musical, an adaptation of the 2000 film of the same name, has been brought to life in Korea. Through the seamless teamwork of Director Stephen Daldry, writer Lee Hall, and composer Elton John, the musical is finished and awaiting audiences in the D-cube Arts Center. Set during the turbulent time of the coal miners’ strike in the 1980s, the musical tells the story of Billy, a boy who unexpectedly stumbles into a ballet class and meets Mrs. Wilkinson, the ballet teacher. As he spends time attending ballet class instead of boxing class, he soon discovers his flaming desire for dancing. Mrs. Wilkinson believes that Billy is talented enough to study at the Royal Ballet Schoolin London. However, when Billy’s father and brother find out, they immediately force him to stop, emphasizing how ballet is only for girls or homosexual people. Billy Elliot not only explores the theme of self-discovery, but also delves into the matter of societal prejudice. Since ballet is perceived as something only for girls or homosexuals, Billy is tasked with confronting his family’s harsh opposition to his newfound hobby. He falls down again and again, but always jumps back up, successfully challenging stereotypes to win support from family and community both. Billy’s story is more than a struggle to find oneself; it is a battle against the barriers of taboos shaped by society. The narrative’s strength lies in its kind gaze toward all characters going through hard times. Billy’s best friend Michael is gay, but the story takes place in an era where homosexuality is still a fragile topic to discuss. His homosexuality is first revealed to the audience when Michael digs into his older sister’s closet. Rather than making fun of and rejecting Michael’s fondness for feminine clothing, Billy joins him in a wardrobe fashion show. The lively and rhythmic dance routine of Billy and Michael—executed with the entire body using swings, spins, and jumps—transmits Billy’s warm support for Michael to embrace his true self. 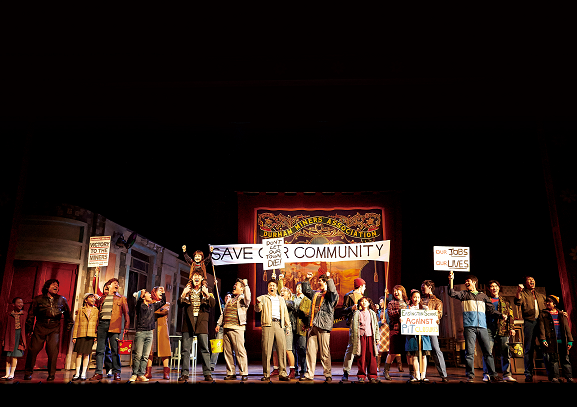 Just like Billy stands up for his beliefs and dreams, the miners also rise in a strike against Margaret Thatcher’s campaign of shutting down unprofitable coal mines. Their struggle to reclaim their rights and jobs is depicted through a montage of shots displaying similar yet opposing scenes. The scenes of miners physically clashing against the police forces juxtaposed against Billy dancing show how the characters express themselves differently to realize their goal. Through the effective use of gravity and body weight, the miners’ dance conveys a heavy atmosphere and demonstrates their cries for change. Moreover, the synchronized dance routine of the coal mine union members shows the strong power of unity, fighting for a common cause. 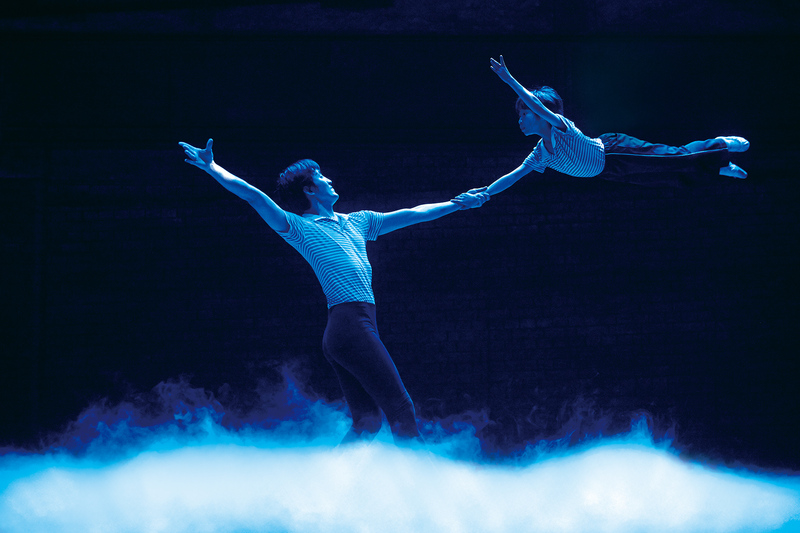 The theme of Billy’s hope, overcoming all the obstacles ahead to achieve his passion as a dancer, runs parallel to the very audition process of the cast. The young actors started off the journey not knowing a single thing about dancing. As Park Myung-sung, producer of the Korean production of Billy Elliot, mentioned in an interview with the Korea Times, “at first, most of them were poor at ballet or tap dance, making me wonder whether they could play Billy.” Over the course of eight months, the boys went through two auditions and were trained for six days a week. Despite the demanding conditions and tough training sessions, these actors are “displaying talents now,” Park said. The young actors have dedicated their hard work to offer the most mesmerizing performance for the audience. Musicals fuse a wide spectrum of arts: singing, staging, dancing and scripts. However, above all, music can be considered to be one of the most important components of a musical. The addition of music allows the story to propel forward and establishes mood in ways that acting alone cannot. In Billy Elliot the Musical, the music was composed by genius composer Elton John, who also wrote the music for Lion King and AIDA. Due to Elton John’s great reputation, audiences held high expectations for Billy Elliot’s music. However, young Billy’s songs were far from soothing. Due to Sung Ji-hwan’s young age, his singing lacked the emotional spur and technical expertise. The pitch, loudness, and tone fluctuated once in a while, betraying his inexperience in singing. In musical scenes, songs act as a medium that seamlessly blend dialogue and songs, which allow characters to communicate and heightens dramatic intensity. Unfortunately, the young actor failed to thoroughly convey emotion to the audience. Yet, the limitations were mitigated through the skillful singing and acting by the adult characters, played by professional musical actors with years of experience under their belts. The charismatic and passionate voice of Choi Jung-won as Mrs. Wilkinson mesmerized the viewers, leading the emotional progression of the musical. Despite their shortcomings, the young actors should be recognized for their talent in dancing. Prior to playing the roles, they had seldom danced professionally. However, after only an eight month training course, they performed ballet, tap-dance and modern dance with remarkable aplomb. In a sequence called "Dream Ballet", young Billy entered into a ballet duet with his adult counterpart. The perfect synchronization, without the slightest imbalance, greatly awed the audience and evoked a myriad of emotions. Needless to say, the choreography of the musical deserves special mention. While the musical contains many characters and themes, it mainly centers on young Billy’s hopeful voyage towards his dream. Before watching the musical, many would not expect much from this young character. Yet, by the end of the drama, this young boy brings many unexpected hopes. It allows the audience, regardless of age, to reflect on their own hopes and reevaluate personal beliefs, finding their own Billy in their hearts. Through the representations of societal frameworks coexisting in today’s society, the musical further allows the audience to consider the changes and procedures to be accelerated in eradicating the long-existing roots of segregation from the past. and 20 percent for R and VIP seats.